Focusing on the Short or Long term? Short-termism refers to the tendency of company management to take actions that maximize reported short-term earnings and stock prices at the expense of long-term company performance. It has received quite some attention lately, in the public as well as in the academic domain. 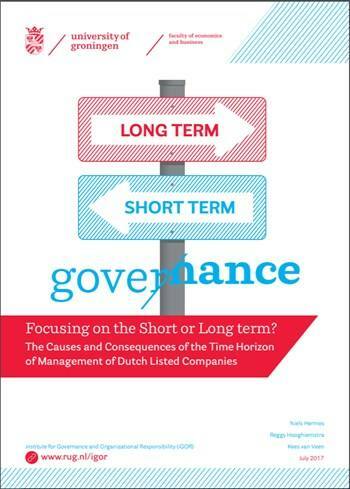 trade-off between short- and long-term outcomes may be equally important in different contexts. This certainly also holds for the Netherlands.